A blast from the past! Anyone over 50 remembers walking through the grocery store keeping track of the cost of the items in your grocery cart with a little pocket adder. Younger than 50, you might have seen one of these little devices on your grandmother's counter. Either way, you can now have the same handy little device right on you iPhone or iPod Touch. And with the price of groceries today, don't we all need to keep track of our spending. This device was also used extensively to aid disable adults to assist them in independent shopping and estimating spending cost. Keeping track of the items in your cart is just a click away. As you walk up and down the isles, simply click the price into the Shopper Tally. A bag of apples cost $5.00, simply click the $1 button 5 times. A gallon of milk that cost $4.39, click the $1 button 4 times, the 10¢ button 3 times, and the 1¢ button 9 times. 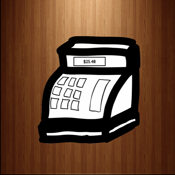 The Shopper Tally will keep a running total of the cost so that you will have a better idea of the total cost of your purchases before you get to the checkout. If you have any comments, suggestions, or constructive criticism please feel free to email me (kingsapps@yahoo.com) or go to my website (http://kingsapps.webs.com/) and click on the tab that says "Contact Us". Thanks for your time!